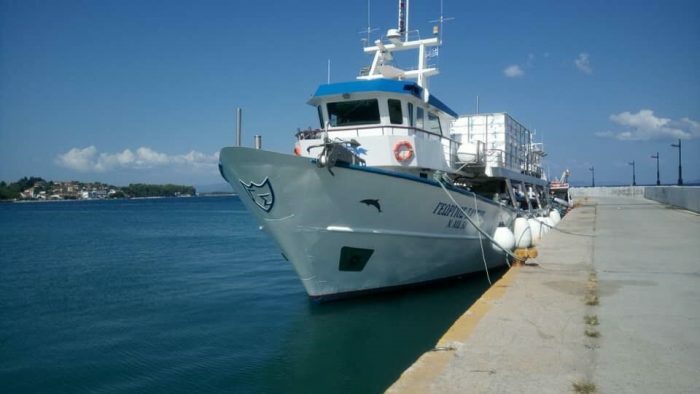 She is a 27m Fishing Vessel (purse seiner) custom built in North Greece and delivered in 2010 to a repeat customer. All initial systems were planned with a modular, scalable and expandable characteristics, allowing the replacement of existing functionality without costly redesign. In winter 2015, during the usual maintenance season and without disrupting the vessel’s operating schedule, she has gone through an extensive retrofit. Existing equipment were updated with advanced systems which extended the vessel’s planned productive lifetime, lowered operating costs, increased productivity while improving fishing selectivity. Aegean Electronics completed engineering, installation, and commissioning of full navigation, communication, and entertainment electronic systems.